This story from the Washington Post had us crowing with joy! For the most part, it seems that "well-funded and well-organized lobbying efforts" have paid off for those seeking to overturn state and local breed-specific laws. In fact, 18 states now have laws that prohibit communities from adopting breed-specific bans. But as always, there are two sides to the story. Pit bull (and other powerful breed) owners rightly claim that their dogs should not be stereotyped and blamed for something they didn't do. 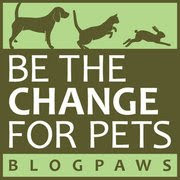 And the American Bar Association and National Animal Control Association agree. Proponents of breed-specific legislation, on the other hand, assert that pit bulls " are a volatile breed whose genetics drive them to kill more than two dozen people in the U.S. each year, many of them young children." And here's something we didn't realize: The Marines, Army and Air Force have all banned what they characterize as "dangerous dogs- including pit bulls and Rottweilers- from their bases because of the 'unreasonable risk' they pose to safety." Despite the current state of disagreement, the overall trend is to overturn existing breed-based bans and to not consider new ones. 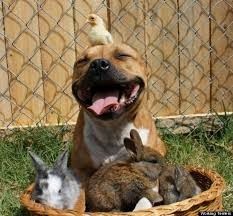 While we are vehemently against banning certain breeds of dogs from communities, and against labeling certain dog breeds as inherently aggressive or vicious, we do think its important for the human owners of Pit Bulls and other powerful breeds to adequately train their dogs and be super careful when their dogs are around others- including other dogs! We have seen and experienced owners who not only didn't train their dogs, but let them run without a leash in areas where they are supposed to maintain "direct control". Those attacks that have happened are needless tragedies, and we feel for the victims and their families. What to do? We'd love to hear your opinion! Such a tricky and sensitive topic! We agree it is a very tricky topic but what we will say is responsible owners here have special license and don't have problems. We think that says it all. Have a wonderful Wednesday. Thanks for your input Molly! We'd love to know more about that "special license". 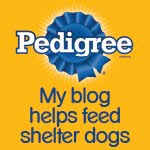 Is it just for owners of large or powerful breed dogs?